Those interested in maintaining the separation of Church and State may wonder at the extent of religious language used in the presidential primaries in the United States. Ben Carson has even gone so far as to suggest he would tithe the American people should he win. But the fact is religious and politics have always mixed and what we see is not much different than what took place long before the Enlightenment supposedly broke the power of the Church.Many years ago in the mists of time when I was researching and writing my PhD, I was fascinated by the way religion was co-opted by political elites as a way of pacifying their subjects. My thesis specifically looked at the way the French monarchy enlisted the support of the French Catholic Church in the aftermath of the Wars of Religion (c. 1562-1589) to domesticate the population while at the same time reasserting the prestige of the crown after the civil wars. The irony of course was that during those civil wars, a great deal of the opposition to royalist policies of reconciliation had come from Catholic city preachers. And yet, shortly after the highly criticized Edict of Nantes (1598), during the reign of Louis XIII, the Church quickly adopted a rhetoric that emphasized obedience to the king as a religious duty next only to obedience to God. This latter claim is hardly unique to seventeenth-century Catholicism, but what I found interesting was how quickly the rhetoric shifted from the panic preachers who helped create the environment that led the assassination of Henri III and Henri IV to the complete opposite. I became interested in this topic because many of the themes that were current in seventeenth-century France still resonate today. Anyone who is familiar with the US elections cannot ignore the role that religion plays in politics south of the border. Of course, as a Canadian, I am aware that religiously influenced politics are becoming more prevalent in this country, especially with the election of the Conservative party which imitates its ideological cousins, the American Republican party. There are of course important distinctions. The preachers of my thesis sought to provide legitimacy to the Bourbon monarchy whose claims to the throne had been tenuous since many of the Catholic preachers never truly believed that the converted Protestant Henri of Navarre was ever one of them. And his assassination at the hands of Ravaillac demonstrated just how deep the mistrust of the first Bourbon king’s Catholicism ran. Also, many of the sermons while still condemning the Protestants as unwelcomed heretics no longer called for their extermination. Very few wanted a repeat of the fratricidal violence that had been endemic for the past 40 years. 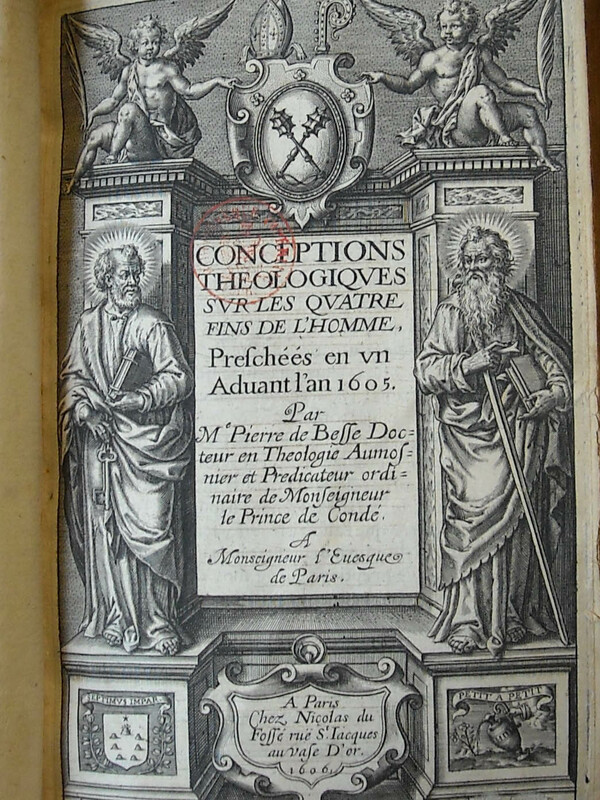 Title page from Conceptions Theologiques, 1605 by the Parisian preacher Philippe de Besse. In theory, the United States is a secular democracy (despite what the right wing wants to claim) and it is (fortunately, to say the very least) not coming out of a period of religious civil war. And I think this is what makes the comparison between the relationship between church and state in Bourbon France and 21st century America instructive; all those that want to infuse the political system overtly religious influence need to be careful for what they wish for. Despite the efforts of the Founding Fathers, religion has never truly been absent in American politics. One just has to think of the John Kennedy’s Catholic speech during the 1962 election or even how Mitt Romney’s Mormonism was still seen as a relevant aspect of his qualifications to recognize the reality. However, in the past few decades, this has really ramped up and has hit a shrill and fevered pitch in the wake of the Supreme Court decisions in favour of gay marriage and other signature policies of Barack Obama. The melding of religion into politics would have prevented those victories for civil rights under the guise of ‘God wills it.’ The last time public shouts of Deus Volt were heard, it ended badly for nearly everyone concerned. While the Edict of Nantes officially ended the Wars of Religion by granting Protestants toleration to practice their religion, it also laid the foundations for the later expulsion of the Protestants 90 years later under Henri IV’s grandson, Louis XIV, to the economic determent of France. 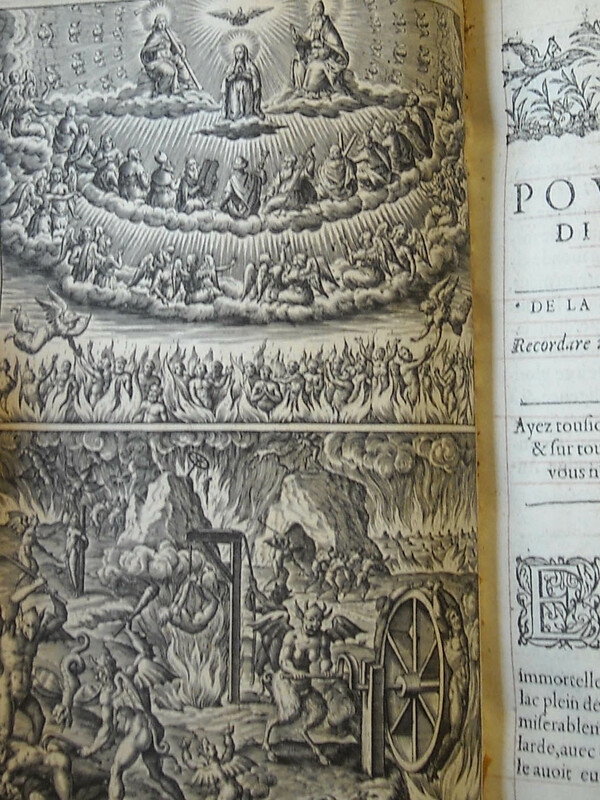 From the Conceptions Theologiques, 1605. 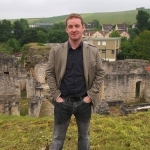 Philippe de Besse. The bottom panel shows the fate of those who vote Democrat. A closer blending of church and state would entrench discrimination disguised as religious practice. Given the flimsiness of the Biblical foundation for opposition to homosexuality, it would be a great injustice to allow the claim of speaking for God to dictate public policy. The reason the Enlightenment happen was in part because people were fed up with irrational claims to a particular concept of truth to determine the course of an entire population. Before we return to the seventeenth century, we need to ask ourselves first if this would be something we really would want to do. Because in that direction lies civil wars, discrimination, and bland Christian rock bands.